15,000lb. 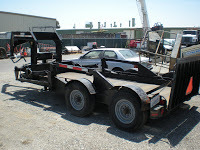 capacity, goose neck trailer, This equipment trailer hydraulically lowers to the ground for easy loading. Deliveries to dock height! no problem! because it raises the load to dock level. 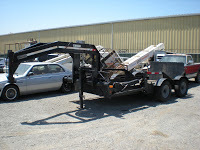 For more informatinon check out the Lift-A-Load trailer website @www.lift-a-load.com $5,000 O.B.O.